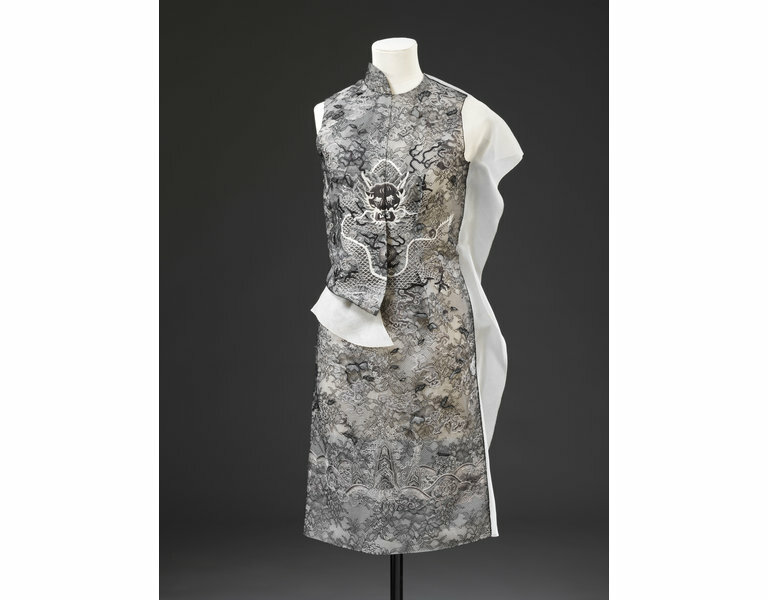 Huishan Zhang's trademark piece is the qipao, the body-hugging women's dress, often associated with 1920s Shanghai, bringing together Chinese culture and traditions with western society and a modern twist. Here, he has reconstructed the traditional qipao and the classical motif of dragon robes in silk organza, hand embroidery and lace. 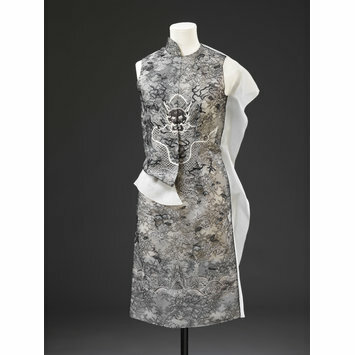 White organza couture dress with black lace embroidery of traditional Chinese dragon and flower petals. The lace is half hand made, half machine made. 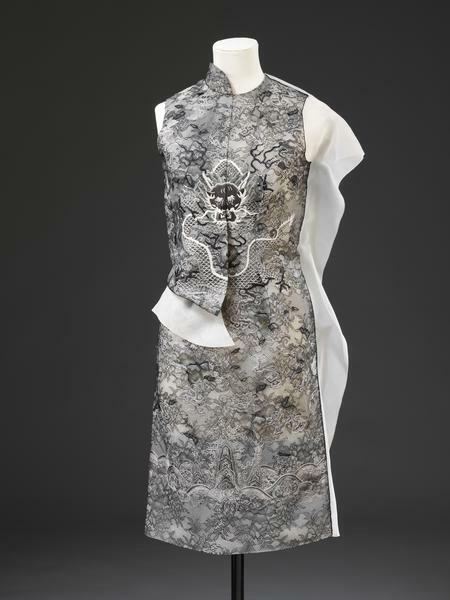 Couture dress, white organza, lace, embroidery, dragon, by Huishan Zhang, China, A/W 2011.